Stock status is current as of 4/22/2019 10:36 AMET. 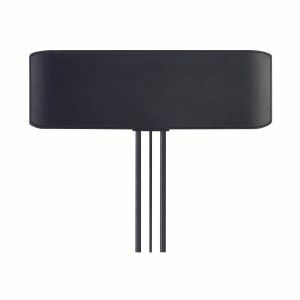 The GPS-GLONASS Mag-mount Antenna with 3M cable has a miniature, super low profile. It is designed for applications which require high positioning accuracy by combining signals from GPS and GLONASS systems. A high gain wide-band patch antenna on an integral ground delivers reliable performance. Fully IP67 waterproof rating allows use in outdoors environments. Front end SAW filter configuration eliminates potential LNA burn-out from nearby out of band radiated power bursts from other antennas that may be co-located nearby. Cradlepoint logos are registered trademarks of Cradlepoint. All others trademarks and copyrights mentioned herein are the property of their respective owners.